When Apple's World Wide Developers Conference(WWDC) comes around every year, you can expect a flurry of social media activity (AKA tweets on tweets on tweets) dedicated to all the new features they're rolling out on your favorite gadgets. And while we definitely geeked out over news of iOS 10 and the crazy new iMessage updates Tim Cook wasn't the one to get the most Twitter love this time around at WWDC. 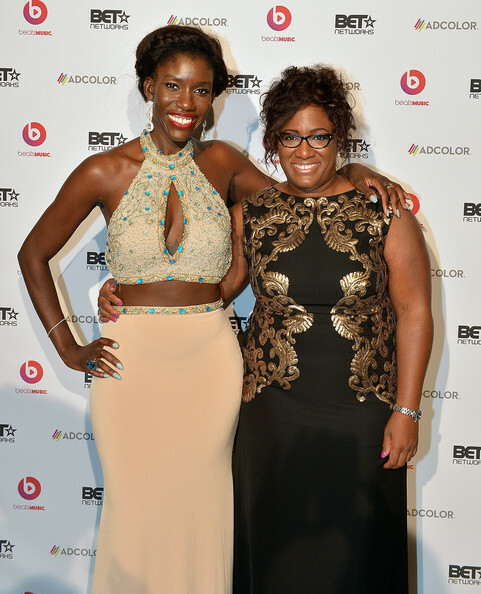 That honor, instead went to Bozoma Saint John, global head of consumer marketing for Apple Music. If you're wondering why a marketing exec got so much attention, it's partly because Bozoma is a black woman — a sight rarely seen on the stage of Apple's conferences or at the top of the tech world, in general. In fact, in the past Apple has faced major criticism about how male, and how white, their presentations are. So while Bozoma tweeted her own excitement about taking the stage, the excitement of Twitter users was even more effusive, particularly because she didn't play it safe. She encouraged WWDC attendees to rap along with Apple Music's new lyrics feature (and wasn't afraid to tell them they were off beat) and called out her own heritage by also playing Ghanaian music during her presentation.And while it's clear that tech still needs to make major strides in terms of representation for women and women of color, among other groups, it's still extremely refreshing to see someone like Bozoma take the stage — and totally steal the show.